With over 700,000 apps available for the iPhone and over 200,000 de­signed specifically for the iPad, it can be a real challenge to find the apps that best suit your needs. And you face a similar challenge when buying accessories. In this article I want to highlight some of the ways you can find the best apps and accessories. 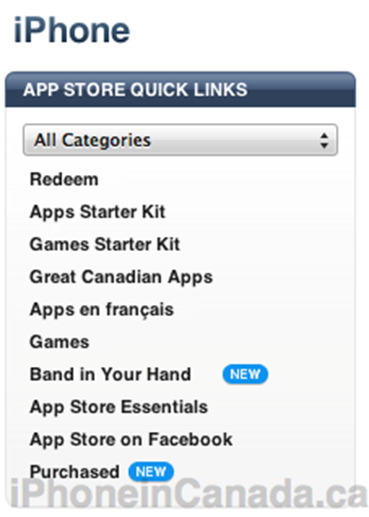 App Store Quick Links is an easy way to access curated lists directly from Apple. You are likely quite familiar with the App Store in the iTunes software, with its categorical listings and front-page highlights, including Editors' Choice, New and Noteworthy, What's Hot, and more. But be sure to also check out the Quick Links section at the top right. The Essentials link has an excellent collection of curated lists in major categories such as Live Sports Scores, Fashion, Music Discovery, and TV Time. The link Great Free Apps directs you to some of the best freebies. There's also a link, Apple Apps, that directs you to all the apps created by Apple. 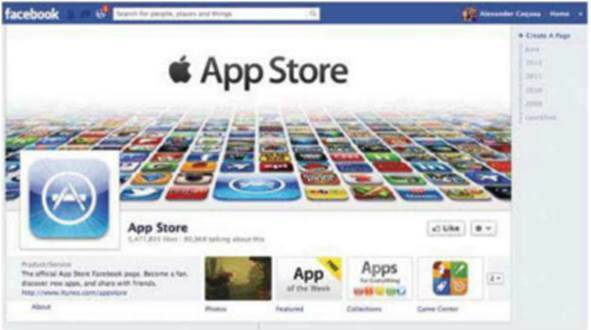 App Store on Facebook is also a good way to discover new apps. It offers Free App of the Week picks, daily posts about apps, and more. The Collections link points you to lists of top apps in particular areas, such as Addictive Games, Hard­core Games, and Entertainment. Some posts elicit hundreds of comments, such as the post that asked, "What's your go-to app?" 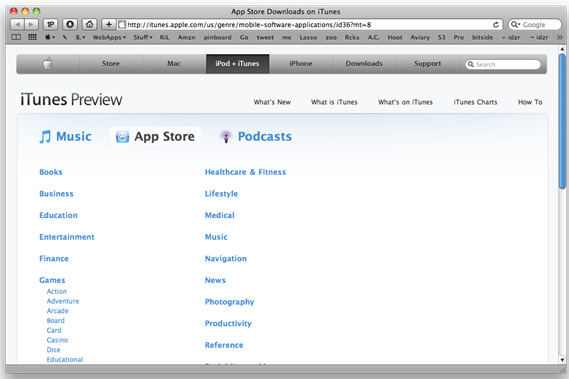 App Store Preview is a basic outline view of the apps in the App Store, sorted by popu­larity. Clicking on any app name brings up the web-based version of the App Store entry for that app. One nice feature is that when you access the information for a particular app, at the bottom you'll see an Amazon-like "Customers Also Bought" list of similar apps. There are a number of websites that index most or all of the apps available in the App Store. But unlike the App Store, they offer greater flexibility for filtering search results as well as giving other modes of discovery. For example, let's say you need a weather app. Search for that term in the App Store, and you get a page of results, but no way to see just the free apps. A site like the ones below will typically let you filter by price, rating, and more. Appolicious gives you an amazing variety of ways to find apps, including search, a directory, recommen­dations by your friends or Appolicious staff members, lists of specialized apps, an App Library Builder, and more. The directory may be especially useful. 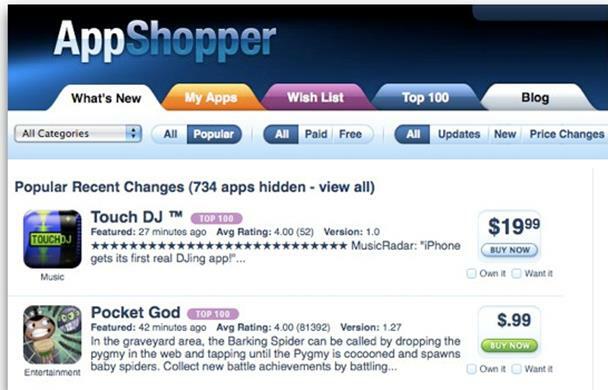 Its main categories are similar to the App Store's, but unlike the App Store, it also offers extensive subcategories. Click on Books, and you'll see subcategories for Audio Books, Children's Books, Classics, E-books, and E-readers. The Business & Finance category has some 30 subcategories. 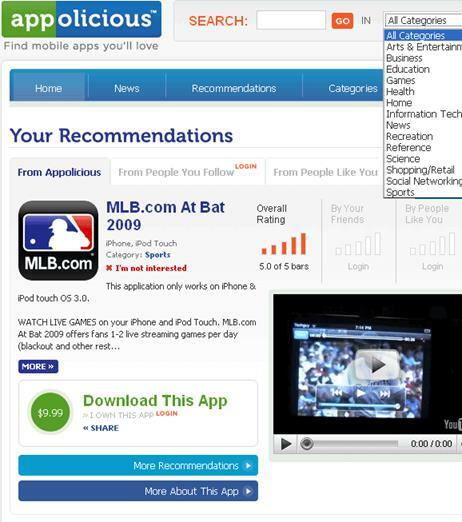 The Lists area of the site offers over 4,000 curated lists of apps on many different topics. There's a search box that lets you search just their collection of lists. A search on "weather" returns 108 app lists related to the weather. 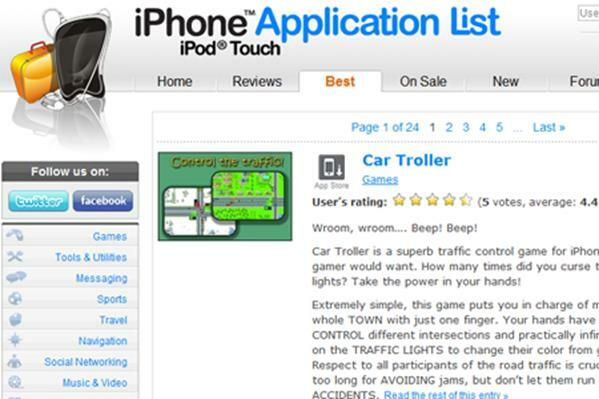 Appolicious also has a very helpful selection of Best Apps lists, such as “Best Free iPad Games of All Time,” as well as a section of video reviews. Macworld AppGuide has a strong search capability that lets you filter search results in a variety of ways, including by price, age restriction, and which iOS devices the apps are compatible with. 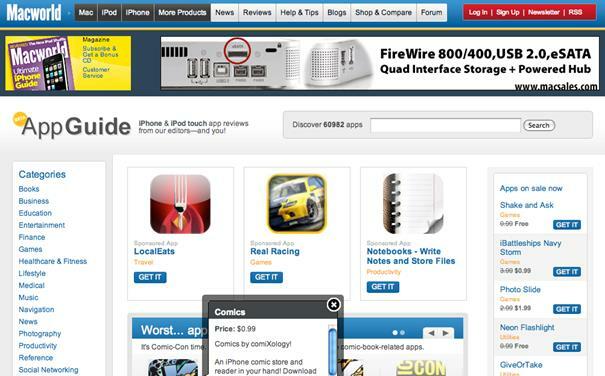 You can sort them by Macworld's rating, user rating, whether the apps are on sale, and more. You can also limit your search to a particular category. The Essential Collections section (macworld.com/appguide/collections.html) may be the site's best feature. It lists the top apps for a few hundred specific topics (e.g., Train Games, Task Masters, Stand-Up Comics, American History, etc.). iPhone Application List takes an excellent approach to organizing search results. If you search for "weather," the site not only returns a listing of apps, but also returns lists of video reviews, text reviews, and Twitter mentions related to weather apps, as well as lists of reviews, blog posts, and forum posts from their own website. The site also lets you view the App Store categories of apps and sort or filter them in a variety of ways, including Top Apps, Most Discussed, and Price. You can also view just the iPad or iPhone apps. The area of their site labeled On Sale shows all of the apps that have just come down in price. You can also filter that, such that you can see, for example, only those apps whose price has dropped to free. AppShopper has a row of buttons across the top that conveniently let you filter the app listings by device type, category, popularity, price, and more. The site also has some helpful Top 200 lists for free, paid, and top-grossing apps that you can filter by device type and category. AppAdvice, like Appolicious, has quite a number of excellent lists of apps in two sections of their site: AppUsts and AppGuides. The AppLists seem to be more topical, such as St. Patrick's Day Apps, whereas the AppGuides section is more general, giving you lists of best apps in categories simi­lar to those in the App Store. The Entertainment category, for example, offers lists of best apps on topics such as Alternative Video Players, Movie Showtime Finders, and Animation Apps for the iPad. Each list identifies the top two apps, followed by notable apps, and then "decent apps." 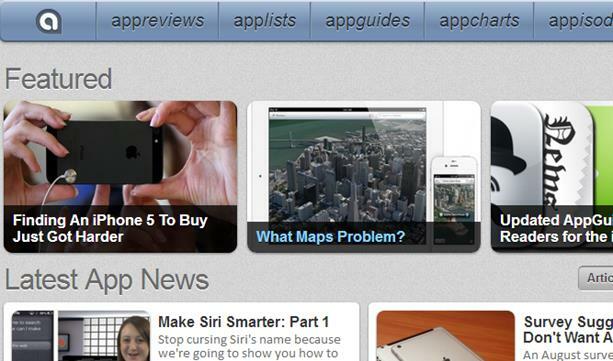 Another area of the site is called Appisodes, which features daily app-related videos. 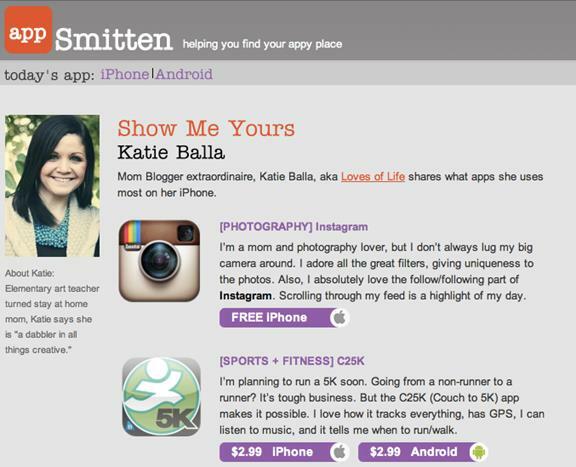 appSmitten offers lists of best apps in nearly 100 categories. They also have a weekly email newsletter with their latest recommended apps for the iPhone or iPad. Plus, they offer a large number of topical lists, such as Best Apps for 20-Year-Qlds and Best Apps for a Long Plane Ride. 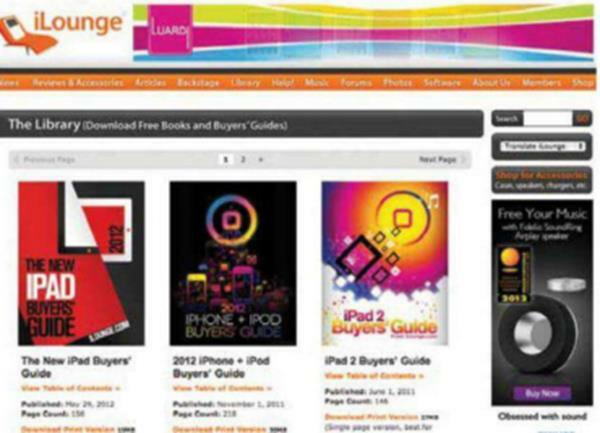 iLounge has a huge collection of reviews and information on iPhone and iPad ac­cessories. It rates all of the accessories it reviews, and divides them into over 80 categories that make it easier to find the type of accessory you're interested in. See also their iLounge iPad Accessory Gallery (ilounge.com/index.php/accessories/ipad), a helpful collection of iPad accessories. And check out their free downloadable Buyers' Guides and eBooks (ilounge.com/index.php/library), which have extensive information on the best apps and accessories. iMore has a large number of reviews of accessories, as well as lists of best iPhone and iPad cases. The site also has a well-organized categorical listing. 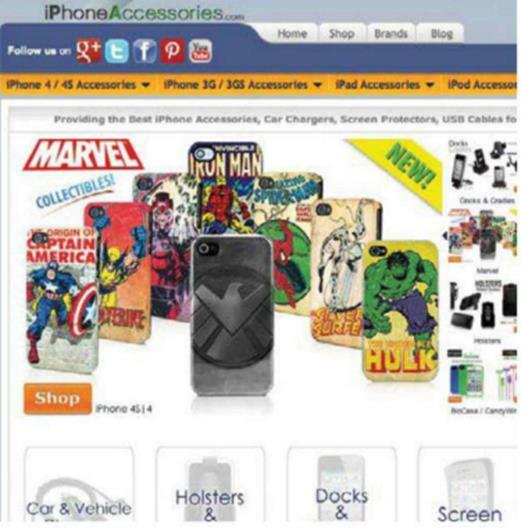 iPhone Accessories offers a large database of both IPhone and iPad accessories. Shipping is free on orders over $19.95, and you get a 30-day money-back guar­antee on all items. The site also includes an outlet area that offers clearance Items. 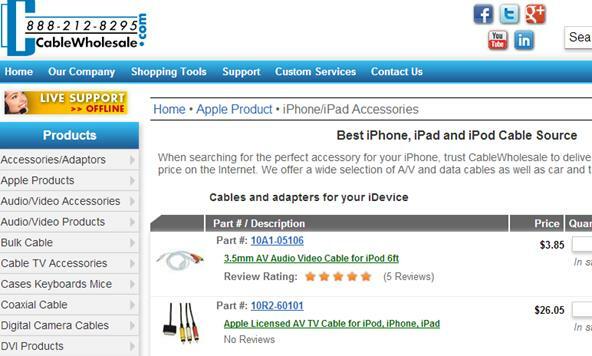 CableWholesale is an online reseller that offers a wide range of inexpensive cables, chargers, and other accessories for the iPhone, iPad, and iPod touch.